Saying that Cairo is a shitshow right now would be an understatement. 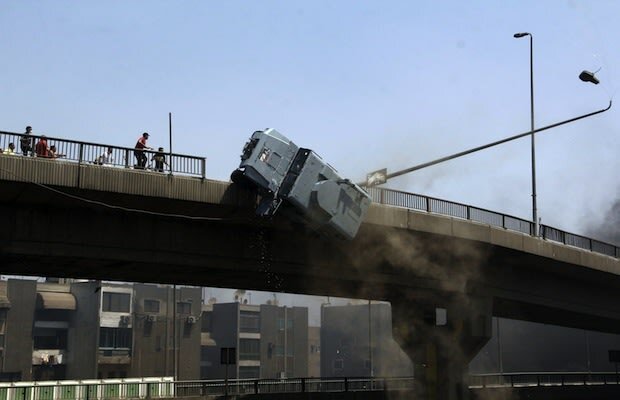 The death toll rose this week as the military moved in to break up sit-ins by Mohammed Morsi supporters in the city. According to reports, 525 people died on Wednesday alone. These photos and the video clip below show an armored police car being tossed off of the October 6th Bridge with officers still inside. Damaged property is nothing compared to the lives lost, but seeing this footage is still shocking.